Your contact for media relations, advertising and communications is Ginnie Flynn [email protected] or 630-427-8004. Every two weeks, IAFP summarizes all the news, opportunities, updates and events into concise, emailed newsletter ensuring that members do not miss a thing, and can link to more information on points of interest to them. Resident and student members also get their own version of e-news with news relevant to them along with opportunities just for them. 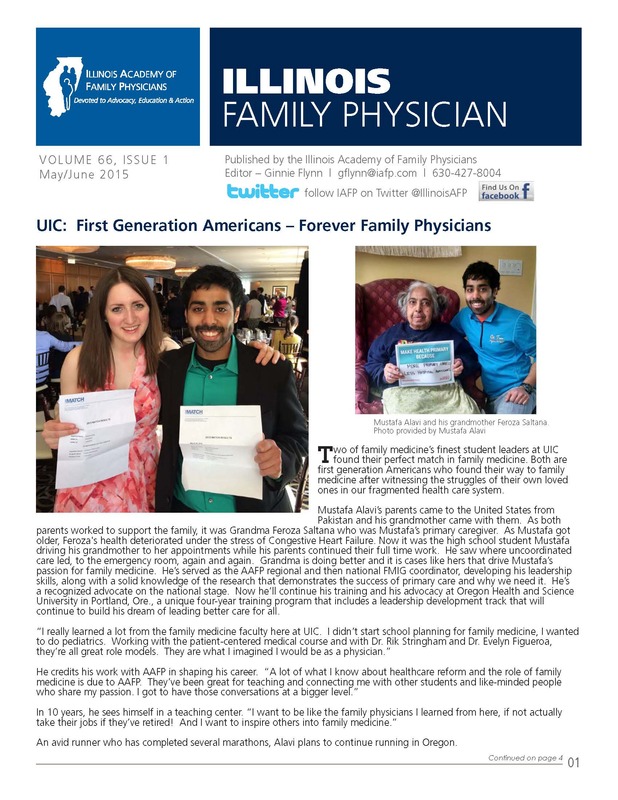 Our magazine is published three times a year (May, August and October in 2017) with more in-depth stories, great photos, features, and articles from contributions tailored to family physician needs. 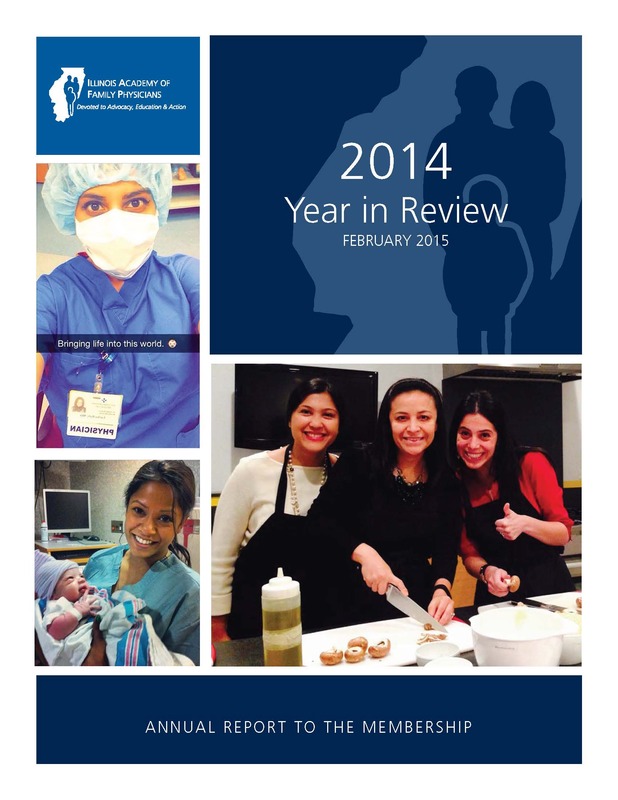 Each issue showcases the accomplishments of the Academy and our members throughout the state. Member input and story ideas are welcome! The August issue is printed (on recycled paper) and mailed to members, while the May and October issues are online e-magazines emailed to all members. This is a prime opportunity to advertise to Illinois family physicians. Published, printed (on recycled paper) and mailed to all active members every February, the IAFP Annual Report provides a summary of academy activities, celebrates our members and accomplishments and provides a ready-reference of Academy benefits, leadership, staff resources, and more. Display ads and inserts are accepted for the Annual Report mailing. These include simple updates, reminders and time-sensitive information. We keep it short, with links to more information if you want it. @IllinoisAFP is your ticket to breaking news and links to news featuring family medicine and our members. Stay informed and also allow us to stay connected to you! The organization page is Illinois Academy of Family Physicians. IAFP group for members only! Find a job, find a new colleague to bounce your questions. Members can post their job openings here!